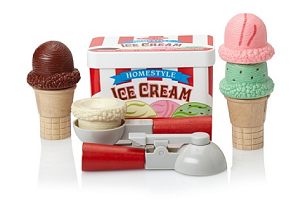 Indulge your little one’s inner culinary chef with these fun play sets from Melissa and Doug. 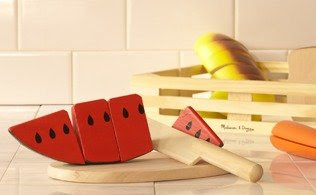 From a pizza party set to wooden blocks featuring the four food groups, your kids will not only have fun but will learn essential skills like eye/hand development and creative expression. For the future Betty Crocker? A slice and bake cookie set. The next George Foreman? A grill set with all the fixings. The best part—no cleaning required.